Led by Portuguese coach Nelo Vingada, our skills contests use the latest training technology to encourage fun and skill. 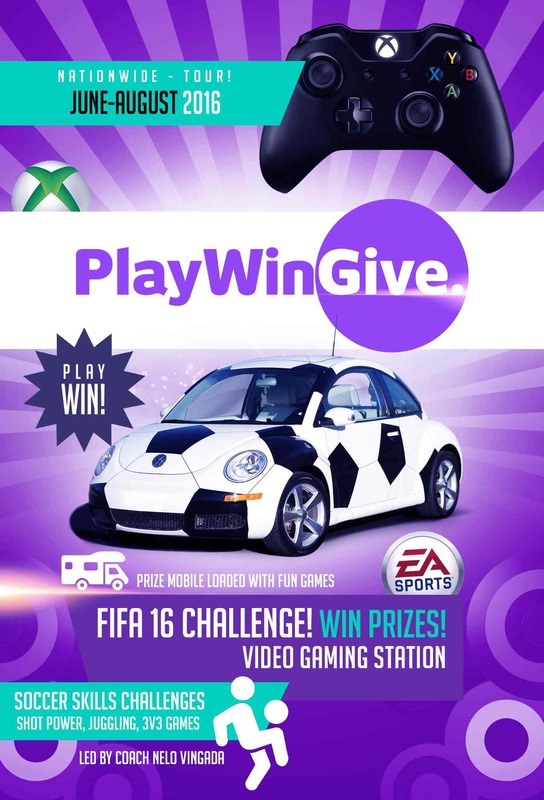 Challenge your friends in a game of FIFA 16 with Soccer Ball Car, a VW Beetle interactive video gaming station. Futbol Fever is a free online soccer game you can play from any device. Win prizes INSTANTLY! Futbol Fever Copa America contest has ended. Thank you to all the entrants and congrats to the winners! New contest is in the works… stay tuned! Futbol Fever provides sponsors with new leads, promotional opportunities and market research. Get your product in the hands of soccer fans by sponsoring cool prizes. Contact Us. Funds raised go to grassroots soccer communities. Learn more.